Bloodshed Dev-C++ is a full-featured Integrated Development Environment (IDE) for the C/C++ programming language. 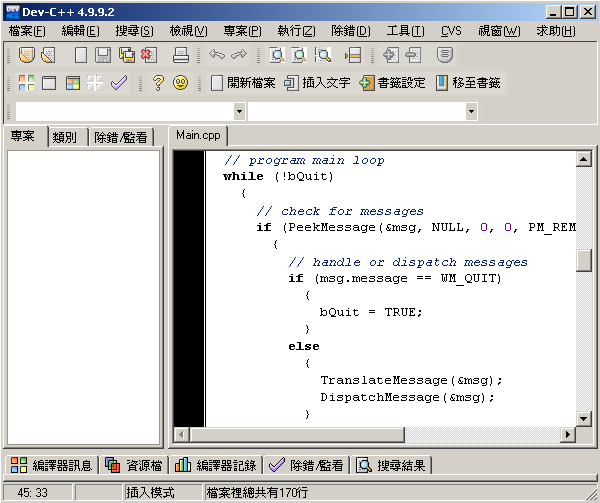 It uses Mingw port of GCC (GNU Compiler Collection) as its compiler. It creates native Win32 executables, either console or GUI. Dev-C++ can also be used in combination with Cygwin. Dev-C++ is Free Software (also referred as Open Source), and is written in Delphi (yes I know the irony).